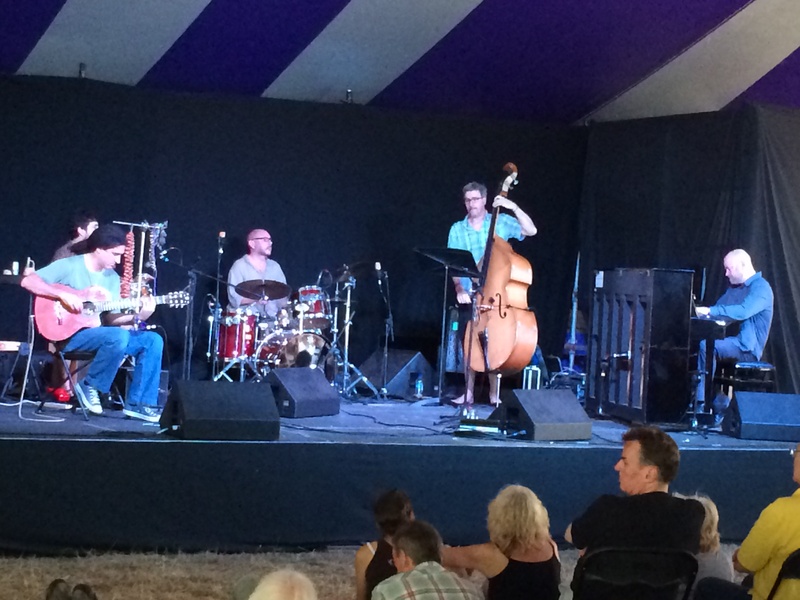 Ealing Jazz festival, this afternoon. It’s been going for years, one of many in Walpole Park over the summer. I have great memories of family outings with friends, basking in the sun, catching a bit of music, enjoying a beer, the girls shopping for bracelets, the boys eager for a game of football and a burger. This year the weather has treated it kindly, after a few damp ones. There are two music tents. The main stage, in the picture above, tends to feature big band jazz, the favoured sound the be bop of the fifties and sixties, with maybe a tinge of Latin thrown in. Traditional stuff. The second stage is more adventurous and intimate. We saw a really good band there today, called the John Crawford quintet. Latin Jazz is the easy summary, but within that there was a real variety of sounds and styles, drawing on the heritage of South America and Southern Europe. The guitarist, Guille Hill was superb. He is from Uruguay. John Crawford is the pianist and song arranger. I’ll be looking out for future gigs. 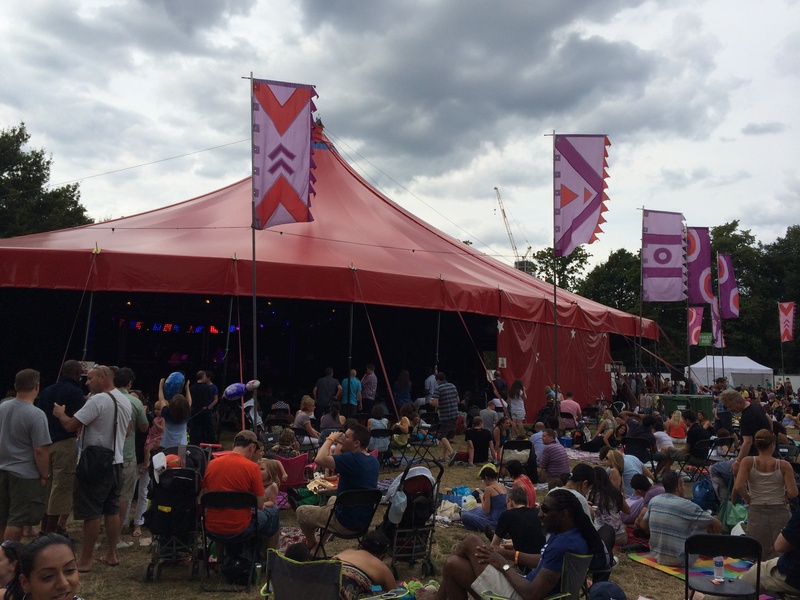 This entry was posted in Music - concerts, lists, reflections, Photos - lovelondonscenes and tagged Ealing Jazz festival, John Crawford Quintet, London, music, Photography, photos. Bookmark the permalink. Always enjoy it. Reminds you how many good musicians there are around.